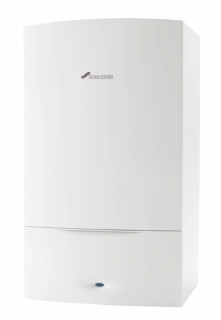 The all new Greenstar gas-fired Si Compact is the successor to the Greenstar Si combi boiler. Ideal for apartments and small to medium sized properties with one bathroom, it has a host of performance-enhancing features, including the revolutionary WB7 heat exchanger which enables the appliances to deliver DHW flow rates of 10.2 and 12.3 l/min despite their compact size. The new Greenstar Si Compact has been designed to make installation and commissioning easier and quicker and comes supplied with a unique wall-mounting jig which enables the installer to quickly pre-plumb all seven pipe connections without the boiler being on the wall.